Another year, another battle between Sony, Microsoft, and Nintendo for gaming console dominance. 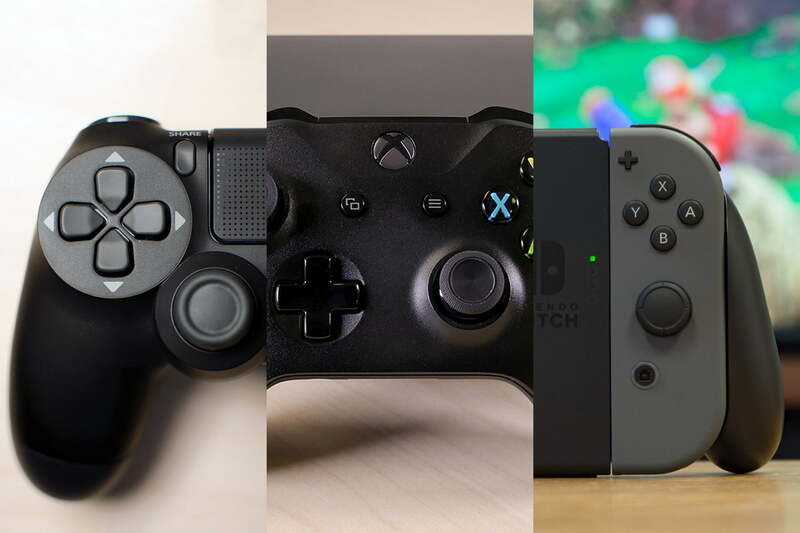 Unlike last year, 2018 didn’t bring any new iterations of the Switch, PS4, or Xbox One into your living room, but that doesn’t mean this trio of platforms are done vying for your attention: The Switch carried momentum into its second year on the market, the PS4 had multiple dazzling exclusives, and Microsoft started acquiring developers en masse, setting itself up for future exclusives in the process. Sure, we’re getting close to the end of this console generation (save for the Switch), but the final stretch of the competition could hint at future success with each company’s next console. Let’s take a look at how each company fared in 2018 and declare winners and losers along the way. There’s no doubt about it. Sony led the way this year with exclusive games, proving once again that you’re missing out big time if you don’t own a PS4. In April, we saw the launch of God of War, a truly excellent open world action game with a surprising amount of heart. Sony Santa Monica really outdid itself with Kratos’ latest adventure. A month later, Detroit: Become Human, the latest story-based adventure game from Quantic Dream arrived. Detroit told a futuristic story about androids and humans in, you guessed it, Detroit. Though not as impressive as God of War, Detroit still received great reviews. In September, we finally got our hands on Marvel’s Spider-Man from Insomniac Games. In addition to being ridiculously satisfying to play, Marvel’s Spider-Man told a wonderful, fresh story about Peter Parker and the people closest to him. Sony’s great year included more than just standard PS4 games. The PSVR saw a slew of mesmerizing titles, including Astro Bot Rescue Mission, Moss, Firewall: Zero Hour, and Tetris Effect (also available on PS4). Sony also started to get with the times in 2018 by opening up the PS4 for cross-play with other platforms. Additionally, you will finally be able to change your dreadful PSN ID in 2019. Though Sony had a remarkable year and is undoubtedly a winner, the studio didn’t give us a ton of reasons to be excited for 2019. Sony’s E3 2018 press conference was one of the worst in recent memory, as it highlighted only games we already knew existed. On top of that, Sony canceled PlayStation Experience 2018 and backed out of E3 2019. We still have Ghost of Tsushima and Death Stranding to look forward to, but it’s less than usual from Sony this console generation. Perhaps the biggest failure for Sony in 2018 was the PlayStation Classic, a retro console with a bafflingly disappointing library of games. Nintendo came into 2018 riding high thanks to the massive first year success of the Nintendo Switch. Though sales of the hybrid platform fell short of the pace set in 2017, the Switch has moved more than 20 million units overall, far outpacing the Wii U before it. Admittedly, it would’ve been hard for Nintendo to match 2017 in terms of software. It’s not often a mainline Zelda and Mario game release in the same calendar year. The Switch still had a slew of impressive exclusives, though. You could argue it had a better year than even Sony in this regard. 2018 brought: Octopath Traveler, Pokémon Let’s Go, Super Smash Bros. Ultimate, Kirby Star Allies, Mario Tennis Aces, and Super Mario Party. That’s a mighty impressive batch of exclusive games, especially the first three. This year also continued the Switch trend known as: “This game should be on Switch. I’d play it on Switch.” Case in point: Hollow Knight, a Dark Souls-esque sidescroller that launched on PC in 2017. It gained massive traction when it launched on Switch in the summer. The Switch also received ports for the stellar turn-based strategy game Into the Breach and Moonlighter, among others. 2018 continued to show that the Switch is now the preferred platform for indie games. Nintendo also continued to support the Nintendo 3DS in 2018. It’s been weird, if we’re being honest. The aging handheld isn’t exactly getting new games (besides WarioWare Gold). Instead, Nintendo is porting old games like Luigi’s Mansion to the 3DS. We can’t knock Nintendo for this strategy since the 3DS has an absolutely massive install base. Finally, Nintendo realized that more people wanted to buy the NES Classic and SNES Classic. Both mini consoles are now widely available in stores. Thank the Nintendo Gods. It wasn’t all clear skies and sunshine for Nintendo in 2018. Nintendo Labo, the cardboard DIY Switch experience, failed to take over the world like other quirky Nintendo titles. The launch of Nintendo Switch Online came and went. The $20/year subscription gives you access to a very stripped down online experience. Without the free pile of NES games thrown in for good measure, Nintendo Switch Online would feel like a ripoff. Perhaps it still is a ripoff anyway, but hopefully, it will improve in 2019. Microsoft’s Xbox One has lagged behind the PS4 since launch because of one thing and one thing only: A lack of worthwhile exclusive games. That fact continued into 2018, which was arguably the worst year for Microsoft exclusives yet. Yes, Forza Horizon 4 is excellent, but an iterative racing game is hardly going to turn the tides in Microsoft’s favor. Microsoft’s other pair of notable exclusives, Sea of Thieves and State of Decay 2, well, just weren’t very good. The only saving grace for Microsoft on the games front is that numerous games, such as Red Dead Redemption 2, really do look better on Xbox One X.
Microsoft hasn’t given gamers a good enough reason to choose Xbox One over PlayStation 4. It’s too late now for Microsoft to make up ground on Sony, but it’s not all bad news. The Xbox Adaptive Controller, a wondrous, inspired controller, made gaming more accessible for all, and Microsoft also added mouse and keyboard support for Xbox One. Microsoft also had a strong year with its Xbox Games Pass subscription program. The program started offering first-party games on launch day to subscribers in 2018. Microsoft also still stands as the only console platform to house EA Access, which lets subscribers play EA games early. Even though we’ve categorized Microsoft as the losing company in 2018, Microsoft’s future looks promising. Microsoft went on a spending spree this year, acquiring a handful of development studios: Undead Labs (State of Decay 2), Ninja Theory (DmC: Devil May Cry), Compulsion Games (We Happy Few), Playground Games (Forza Horizon 4), InXile (Torment: Tides of Numenera), and Obsidian (South Park: The Stick of Truth, Pillars of Eternity). These acquisitions could mean Microsoft’s biggest problem — minimal exclusives — will be remedied in the coming year.